San Pedro, California April 1942. The last Redondo Beach residents of Japanese ancestry leaving by truck for relocation. 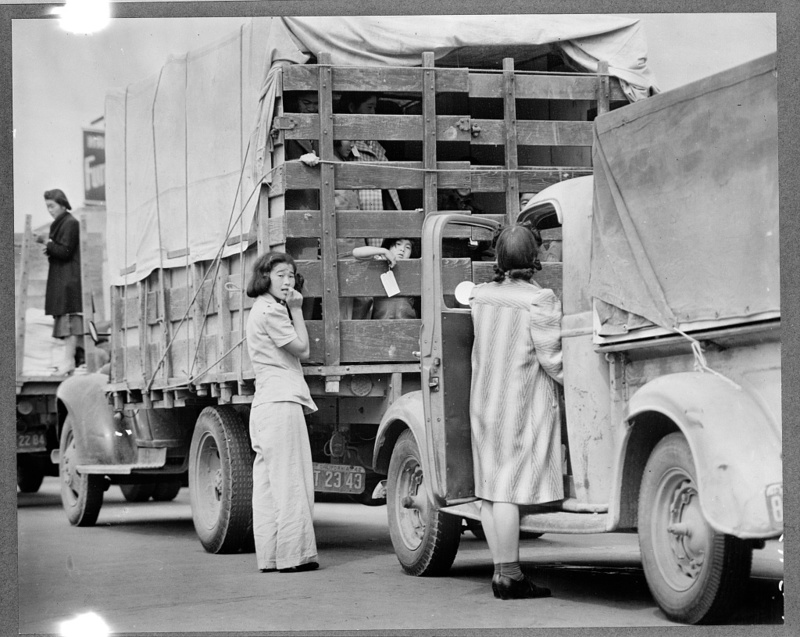 “Japanese residents being loaded up for internment camps,” USU Digital Exhibits, accessed April 20, 2019, http://exhibits.lib.usu.edu/items/show/18720.